One Piece Bowl - Trafalgar & Bepo. Complete your One Piece collection with this great bowl facing Trafalgar Law and his mate Bepo! Get assistance at any point. 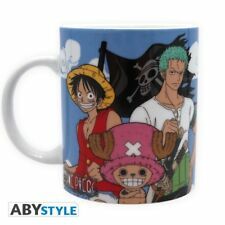 Include: 1 x Original Color Box 1 x Ceramic Mug ;. Magic Mugs. The joy of Magic Mugs. Color Change Condition: Water Temperature > 70°C. the higher the temperature, the faster the color change ! Hard To Find. (One Piece Romance Dawn for the New World Ichiban Kuji Prize Glass - Jolly Roger Flags version. Out of production and rare. 1) Copy the item number. Country: Japan. 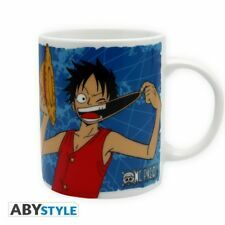 (One Piece Marineford Final Battle Ichiban Kuji Prize Mug - Monkey D Luffy & Portgas D Ace. Traditional Japanese style handle-less mug made of porcelain. Out of production. 1) Copy the item number. 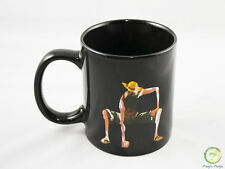 After the success of big mugs, discover now the mugs One Piece in small size. The collection begins with Luffy and his famous emblem. One Piece Glass - Skull Luffy. Toast with your friends with this beautiful glass of the Straw Hat crew's Emblem. Get assistance at any point.